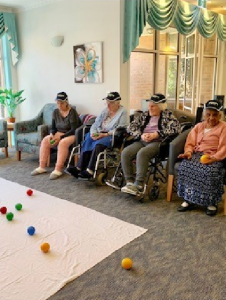 The ‘FUN TEAM’ at Viewhills Manor regularly gather to participate in various activities, and even have their own team hats to stand out from the crowd! 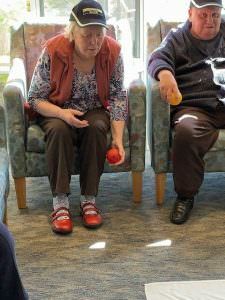 The group is comprised of residents with various levels of mobility, and the activities are curated to ensure that all are able to participate equally. 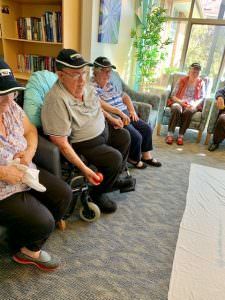 Recently, the team hosted an afternoon of bowling at the home, which turned out to be very competitive once we realised there were a few experts in the mix! 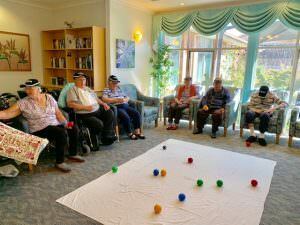 Most importantly, the activity was filled with laughter, great sportsmanship and enjoyment by all. 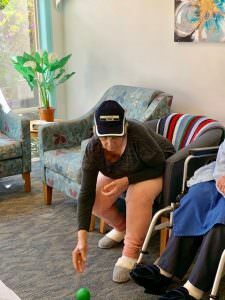 Learn more about the lifestyle program on offer at Viewhills Manor by giving us a call on 1800 52 72 72.